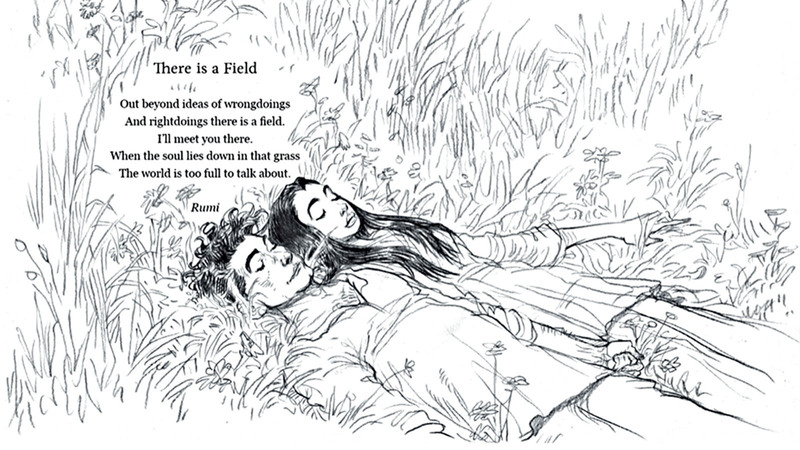 Poems to Live Your Life By is a collection of forty-six famous and lesser-known poems, personally chosen and beautifully illustrated by author and illustrator Chris Riddell. In these videos Chris reads a selection of poems from the collection, while guiding us through the stunning drawings inside. A F Harrold is an English poet, performer and children’s author. ‘I Miss You’ is a simple, moving poem about missing someone who is no longer in your life. Phoebe Bridgers is an American musician from Los Angeles. ‘Smoke Signals’ is a song from her album Stranger in the Alps. Poet, performer and playwright Kate Tempest addresses themes of gender inequality in this poem from her collection Hold Your Own. Pakistan-born English poet Imtiaz Dharker has written six books of poetry, including 2006’s The Terrorist at my Table which the poem ‘Tissue’ is taken from.